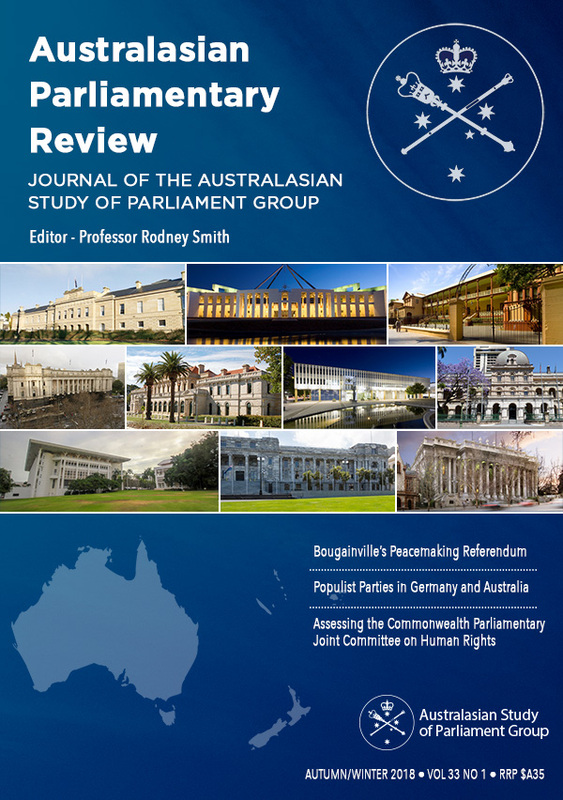 The Australasian Parliamentary Review is the official journal of the Australasian Study of Parliament Group. The APR is committed to encouraging and stimulating research, writing and teaching about the parliamentary institutions of the region. Material on issues relating to parliament, whether arising from policy debates, major committee reports, political and electoral matters, referenda or significant court decisions, is published in the APR. Articles covering international events, where relevant to parliament, are also published. The APR is published online twice a year. The online version of each APR Journal becomes available publicly six months after its release.